When it comes to private jet charters, no other private jet company provides a better level of service for its clients than Charter Flight Group. We offer comprehensive and efficient jet travels to any ideal destination worldwide, including the Mobile Downtown Airport in Alabama. Charter Flight Group features every facet of jet charter flights from lightweight jets like the Citation Mustang and Beechjet 400XP to heavyweight jets such as the King Air 350 and Falcon 900. With a wide variety of jet planes to choose from, CFG is the ultimate choice in all your personal, private business, and even a combination of both corporate and relaxation charter flights. Because Charter Flight Group has access to a wide variety of aircraft, our company guarantees availability of any private jet of your choice. In fact, with our 24/7 services, we can take care of your private flight needs anytime and anywhere in the world. We offer unparalleled private flight services to our clients in thousands of airports around the world including Mobile Downtown Airport (KBFM). The Mobile Downtown Airport is just around six nautical miles south of the busy and dynamic district of Mobile, and it is highly accessible to accommodate all of your personal and professional luxury travel needs. On top of availability, accessibility, and variety, every CFG’s aircraft also features safety and security. Our clients’ welfare is foremost in our agenda and thus, we absolutely guarantee that all our private jets meet the rigorous aviation standards of the Federal Aviation Administration (FAA). 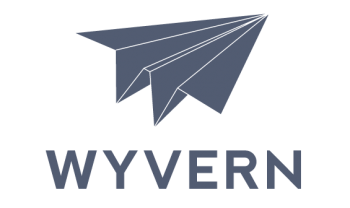 CFG vow to protect the security of its clients by carrying out third-party safety audits using the services offered by the best aviation safety inspectors in the world – Wyvern, and the Aircraft Research Group of the United States (ARGUS). Accordingly, we assure dependable and reliable private jet charters to Mobile, Alabama. Once considered as a reliever airport, Mobile Downtown Airport is now a general aviation airport conveniently located inside the Brookley Aeroplex on Mobile Bay in Mobile County Alabama in the United States. Brookley Aeroplex is a full-sized industrial complex at 1,650 acres positioned just minutes away from the busy downtown of Mobile, and Mobile Downtown Airport is its key constituent. Before its restoration and modernization in 1969, the airport was a division of Brookley Air Force Base. Now, the airport features two highly modernized runways that can accommodate any aircraft of shape and size. Mobile Downtown Airport is attended by a 24/7 fixed-based operator known as the Downtown Air Center and thus private jet flights in and out of Mobile can happen 24/7 as well. Clients who charter private flights in and out of Mobile for business or for pleasure are assured of convenience and satisfaction as the airport provides modern facilities and commendable services to meet each one of their charter flight needs. 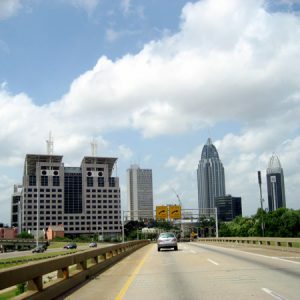 Mobile Downtown Airport is considered as the gateway across the flourishing economy of the entire District of Mobile as well as to the international market. The airport features a highly innovative logistical hub for cargo shipment via several means including water, rail, air and highway. Thus, if you charter a private flight to Mobile and wanted to move your cargo throughout the Mobile region, Mobile Downtown Airport can handle all your cargo distribution needs and requirements. 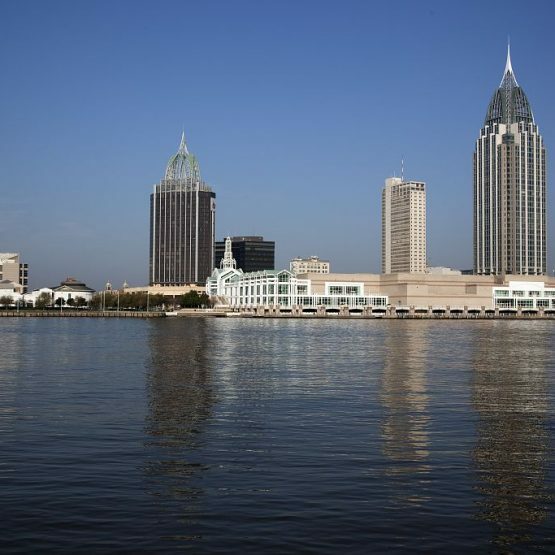 When you go for private jet charter flight to Mobile, you will be taken few miles of downtown Mobile, which is considered one of the fastest growing metropolitan areas in the United States. Despite its laid-back Southern community status, Mobile is now on the move and tagged as among the best cities to live and play. In fact, as a major coastal destination for your private charter flight, Mobile offers all the corporate and relaxation benefits of being on the water aside from its rich historical destinations and boundless recreation. If your private jet charter flight to Mobile is strictly business-oriented, then you will be treated to an excellent international market setting that traverses both county and state barriers. When it comes to trade and commerce, Mobile is now a beacon in the southeastern United States and thus to charter a private jet to Mobile for business could guarantee a cost-effective outcome. But of course, all work and no play makes anybody gray. So, if you want to combine your business with pleasure in your private jet flight to Mobile, then you won’t be disappointed. There are numerous attractions and entertainment to choose from in Mobile – from dancing to dining, to arts and live entertainment, there will never be a dull moment in Mobile. After a mind-bending business meeting with corporate partners, you can relax in one of Mobile’s historic hotels – the Admiral Semmes Hotel or you can visit its popular clubs and nightspots like the Mobile Symphony and Boo Radley’s. If your private jet charter flight to Mobile is purely for fun and leisure, then make sure to visit the astoundingly attractive Bellingrath Gardens or bask under the sun on the snow white sandy beaches of Dauphin Island. If you are a world war history enthusiast, you can explore the enormous 680-feet Battle Ship Alabama. You can also go fishing, play golf, get in touch with history or do many other fun and exciting things. With so many exciting things to do, you can be assured that your private jet charter flight to Mobile, Alabama will not be wasted. Why Choose Charter Flight Group for Your Jet to Mobile? Charter Flight Group offers incomparable private jet travel to Mobile, Alabama or to any of the thousands of airports and destinations worldwide. Our company is dedicated to make sure your private jet charter flights are remarkably reliable, convenient and safe. We have skilled and adept consultants and charter planners who can arrange a private air charter flight for you in a highly competitive rate. We also warrant that all our charter airplanes are equipped with certified and experienced pilots and crews. Make your next private charter flight to Mobile or to anywhere in the world safe and secure with Charter Flight Group.